C7 Road Safety Survey Comments! Following consultations in 2015 and 2016 comments from parishes and members of the public have been collated. 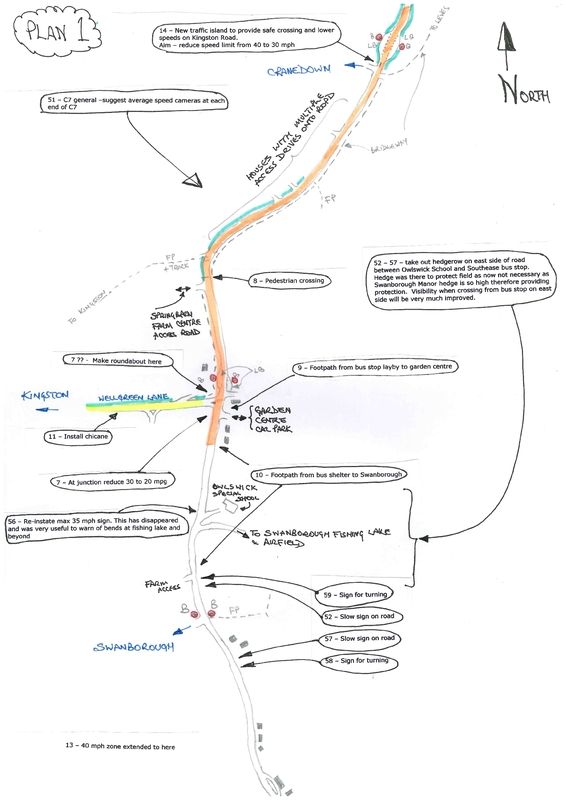 They have been marked on detailed plans and are shown on the diagrams and links below. Please also see the notes below. These comments do not form part of any policy by any group or council. 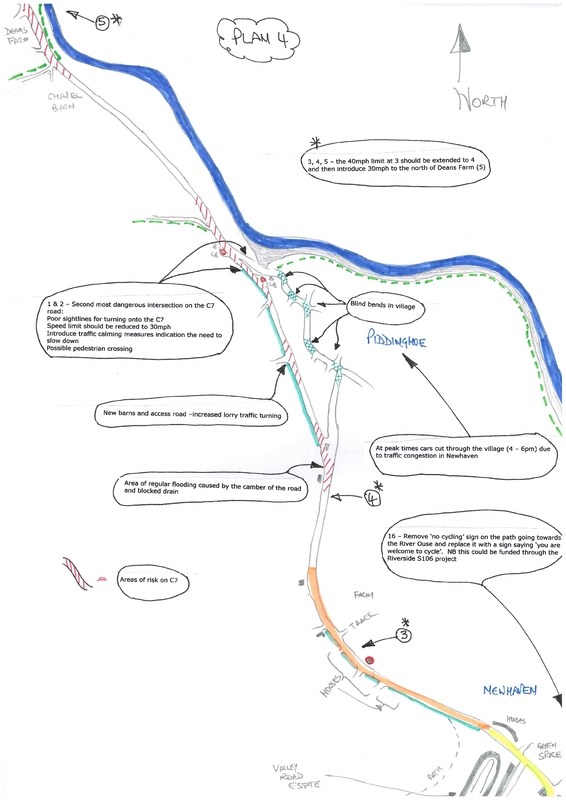 These notes are relating to the C7 and its junctions. It is hoped that they will be updated to include the C324 road (Ashcombe Lane & Wellgreen Lane, Kingston) in due course. The original sketches I have made are A3 in size but you should be able to print them in A4. 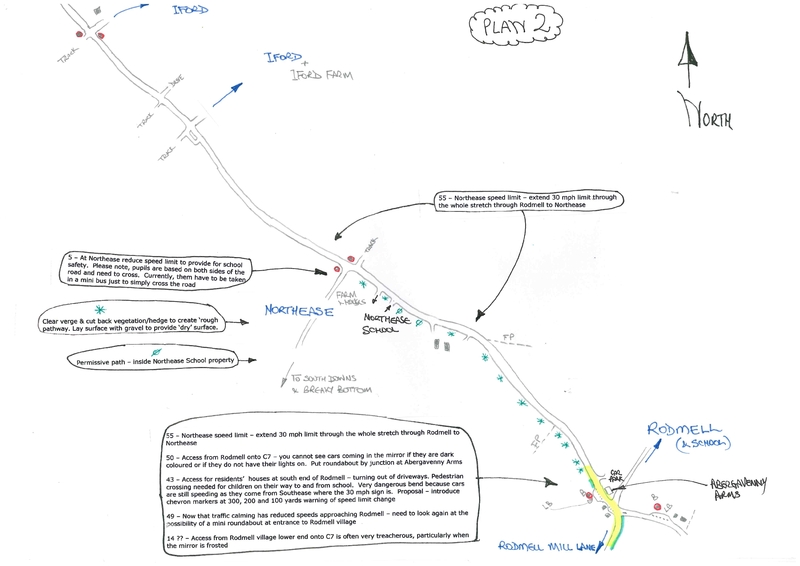 These diagrams and comments can be used in discussions with the ESCC Highways Department and within POLO as part of the process to produce a strategy for the future safety & traffic calming on the road. 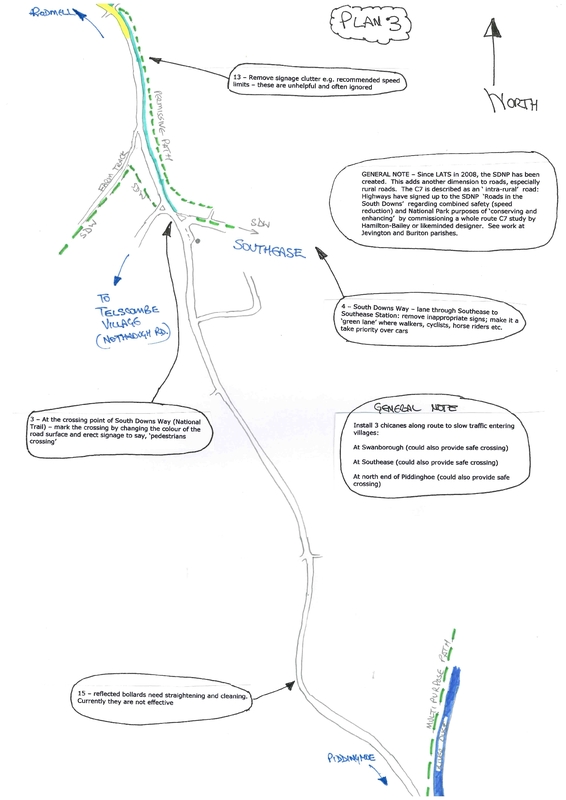 I have recently met ESCC Highways to discuss what their proposals are in the light of these comments. I will be reporting back to the parishes and to POLO on the outcome and next steps. It may be that POLO engage a consultant directly or via the ESCC. Indeed, it may be that some safety improvements can be made incrementally by the ESCC reviewing and improving existing arrangements along the road without any major cost. Typically this might include cleaning and replacing plastic reflective bollards, remarking road surfaces with MPH reminders as well as making signage more meaningful and less cluttered. After I was elected last year I asked the association of parishes (Parishes Of the Lower Ouse, POLO) in my ward if they would set up a working party to develop a strategy for long-term improvements to safety and traffic calming along the C7 road through the villages of Kingston, Swanborough, Iford, Northease, Rodmell, Southease, and Piddinghoe. The proposal was accepted by POLO and a working group was set up. Since then they and POLO have met a number of times. 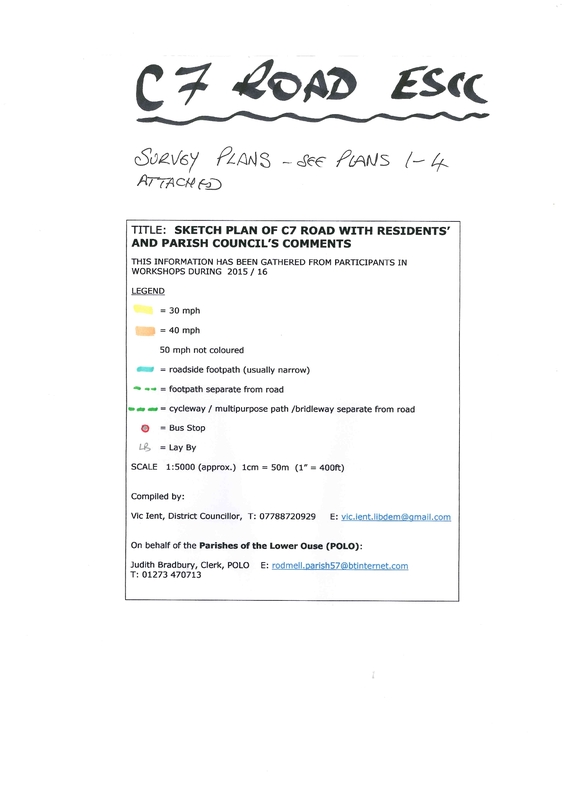 At the request of POLO I have collated the above inputs from parishes and concerned residents. The plans will be updated and minor errors corrected in the next stage. Hi Vanessa, Thank you for commenting. I agree the police should be routinely enforcing the speed limit that are there. I will raise it at the next POLO meeting in the hope that all the parishes will lobby the police.